Digital control systems are becoming increasingly prevalent and important within industry. In recent years significant progress has been made in their analysis and design – particularly within the areas of microprocessors and digital signal processors. The traditional approach to teaching digital control assumes an understanding of analog control theory; Digital Control, however, teaches the fundamentals of the topics, assuming no prior knowledge of control engineering. Organised into five sections, it discusses modelling, signal processing and identification of plants from measurements, as well as the transfer function approach to, and state space techniques for, control design. Teaches the fundamentals of digital control, enabling the student to exploit the complete potential of digital systems. Presents a number of control techniques including proportional-integral-derivative (PID), pole placement, internal model, minimum variance, model predictive and linear quadratic Gaussian control and their extensions. Provides an extensive introduction to digital signal processing, an essential component to the understanding and implementation of digital controllers; and to the identification of plant models, an important topic in this information era. Includes examples, problems and solutions as well as accompanying MatLAB code. 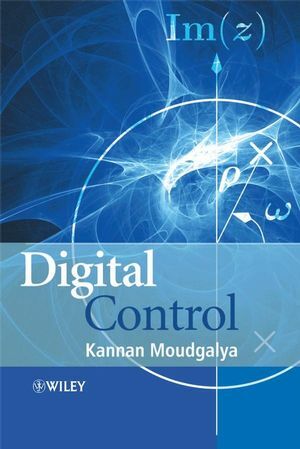 Digital Control offers an advanced and self-contained textbook to senior undergraduates and postgraduates in chemical, electrical and mechanical engineering and computer science. It will also appeal to practicing systems engineers who need to learn digital control. Professor Moudgalya is an associate Dean at the Indian Institute of Technology in Bombay. He graduated in 1985 with a PhD in Chemical Engineering from Rice University, Houston and began his career as a Research Associate at the Chemical Process Modelling and Control Research Center at Lehigh University. In 1988 he became Assistant Professor at ITT, and has since worked his way up to the position of Associate Dean of Research and Development. He is the joint author of Optimization: Theory and Practice, M. C. Joshi and K. M. Moudgalya, 184265196X, cl, 345pp, £55.00, June 2004, Alpha Science International Ltd. In addition to this he has written over twenty journal and conference papers relevant to the proposal, and recently won the 'Best Paper Presentation' Award at the American Control Conference in 2002. Includes numerous examples, problems, solutions and Matlab code. Developed from three existing lecture courses in digital control, systems identification and intermediate process control. Concludes each chapter with a ‘problems’ section. Highlights the advantages of the polynomial approach. Assumes little or no prior knowledge of analogue control. Offers a very thorough treatment of the z-transform and frequency-domain analysis. Includes a thorough treatment of identification. Attempts the tuning of PID controllers using model-based control techniques. Author is a chemical engineer giving this book a unique, but not exclusive chemical engineering angle.